Congratulations on graduating from Space Academy and receiving your first assignment! Given your academic performance we are sure that you are just as surprised as we are. Because of the number of classes you missed, we thought you would appreciate a refresher on the basics of the way your starship operates. Please pay attention carefully, as any damage caused to the ship will be deducted from your salary and those of your next of kin.At the start of the game you will select a mission and difficulty level. The object of the game is to move around the map and accomplish the mission goals. 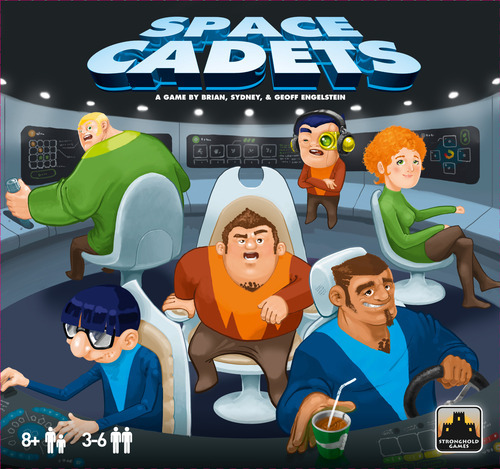 Space Cadets is a cooperative game for 3-6 players who take on the roles of Bridge Officers of a Starship. Each officer must accomplish a specific task in order for the team to successfully complete the mission. The game is played in a series of turns, and each turn is broken down into 9 steps. Some of these steps are timed using the sand timer. If you and the crew can work together effectively and accomplish the mission goals, you just might make it home in one piece. Bears! 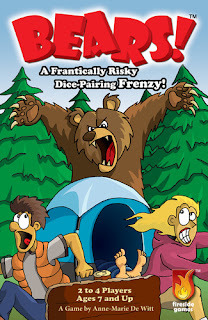 is a fast-playing, competitive dice game from Fireside Games who also does Castle Panic. In this game you score points by pairing dice. You can shoot bears and run from tents for a few points, or take a risk and score big by sleeping through the attack! But watch out! If there are any Bears at the end of the round, your sleeping campers are done for! Continue to Tune in to us for the latest in board games. Come and visit us at 30 NW 2nd Street in Historic Downtown Gresham. We have a full range of family games, strategy games, Euro-style games, war games, card games, dice games and more. Also for the puzzle enthusiasts we carry quality puzzles from Ravensburger, Cobble Hill, TDC, and White Mountain.